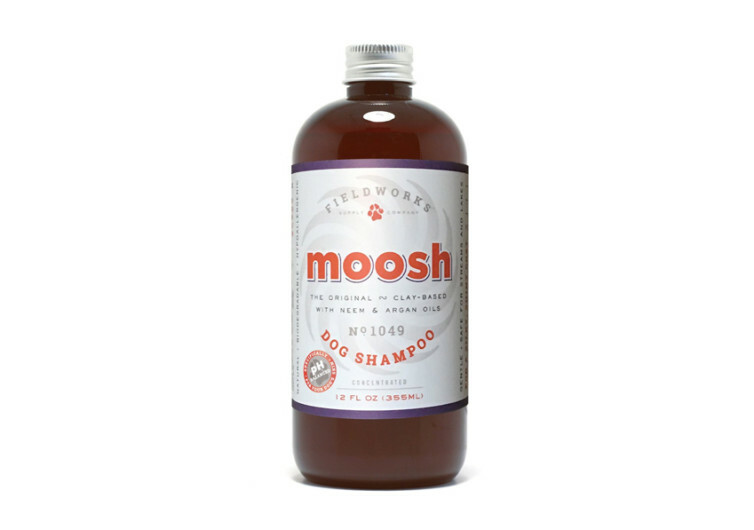 If your pet is suffering from hot spots, itchy skin, or skin allergies, you might want to consider Moosh Dog Shampoo from Fieldworks. This is a special formulation of dog shampoo that contains natural ingredients. Its principal indication is in the safe management of skin problems in dogs. These can include itching, hot spots, and skin irritation. 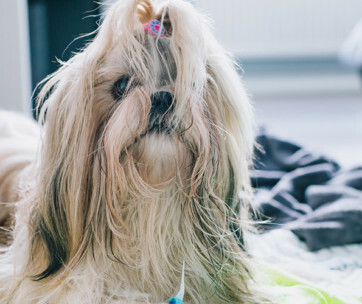 Most medicated dog shampoos contain harsh ingredients. Sure, these are effective in the management of different skin problems but they often cause other problems. Moosh contains only select natural ingredients that address the different issues associated with skin inflammation. At the core of the Moosh formulation is bentonite clay. This should not come as a surprise since this ingredient is quite known for its amazing benefits. It includes clearing up skin problems and removing harmful toxins. The bentonite clay in Moosh helps remove dirt, debris, and other particles on the dog’s skin. 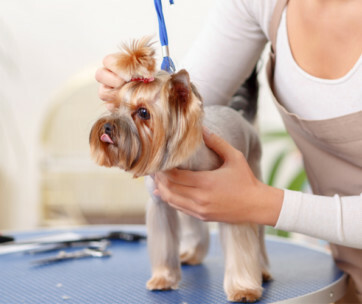 It also binds with bacteria and other microorganisms that may be present on the dog’s skin. Moosh also contains Argan oil. This essential oil contains many antioxidants, vitamin E, and essential fatty acids. These can contribute to a healthier skin in dogs. The addition of neem essential oil is also noteworthy. This substance contains aspirin-like properties which can help soothe pain and inflammation of the dog’s skin. Moosh contains both Argan and neem oil. 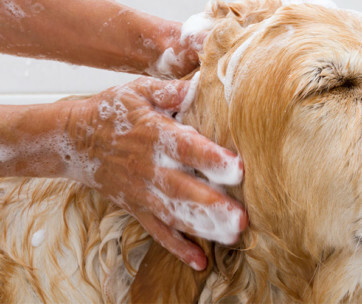 It helps ensure that you’re giving the best shampoo for your furry pal. It has antimicrobial properties which are beneficial in the management of germ-related skin problems. Fieldworks didn’t stop with bentonite clay, Argan oil, and neem oil. It also included aloe vera extract and shea butter in the formulation. Beefing up the skin nourishing action of aloe vera and shea butter are coconut oil, sunflower oil, and olive oil. 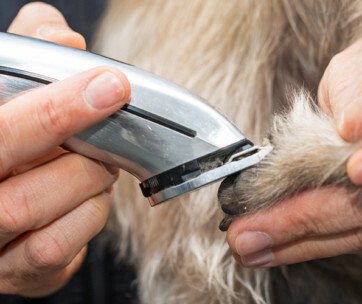 Moisturizing the dog’s skin is important in the maintenance of skin integrity. 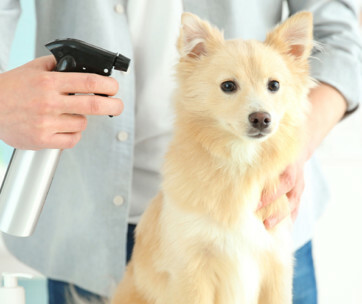 This also helps provide for a softer and fuller coat for your dog. Because of the natural ingredients used in this formulation of canine shampoo, you can expect it to be a lot safer for your pet. It’s also safer for the environment. There will be no harmful chemicals leaching into streams, rivers, and other bodies of water. 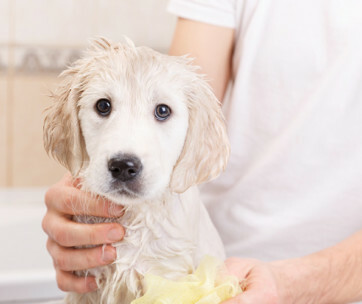 You’ll feel more confident about bathing your pet. 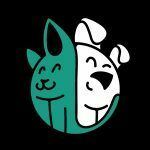 Fieldworks’ Moosh Dog Shampoo is a safe and effective solution for managing a number of skin problems in dogs. It’s easy to use and very safe for your pet.